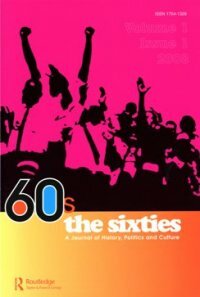 I just read a review of A Bomb in Every Issue published in The Sixties: A Journal of History, Politics and Culture. The reviewer, a graduate student in journalism named William Gillis, credits the book on many fronts but also found shortcomings. This feels like a teachable moment, so here goes. But there's a larger point here about audience: specifically, a trade versus an academic audience. I included citations only when I quoted written sources. Otherwise the notes section would have exceeded what my publisher wanted for a trade book. That doesn't mean I neglected other material. And if I quote Jann Wenner, and you can see from the back matter that I interviewed him, it's not hard to infer that the quote comes from the interview. "The incomplete nature of the author's research," Mr. Gillis claims, "is evident in the account of the CIA's investigation of the magazine." Specifically, I didn't mention that "the CIA also had the Internal Revenue Service investigate (and sometimes audit) the tax records of the magazine's staff and contributors." Mr. Gillis seems to have missed the relevant passage in my book: "The day after Hinckle's ads appeared [CIA officer Richard] Ober received the magazine's tax returns from the IRS. It audited them along with [Ramparts publisher Ed] Keating's personal returns from 1960 to 1964" (p. 78). Mr. Gillis also argues that I failed to make good on the book's ambitious subtitle, which claims that Ramparts magazine changed America. The problem, he claims, is that I rely on "the oral testimony of two men who were college students during that period." One of the two men (I think) is Jeff Cohen, who later founded Fairness and Accuracy in Reporting (FAIR), which today publishes Extra! and produces "CounterSpin," a syndicated radio program about media bias. (Later, Jeff appeared on CNN's "Crossfire" and became Phil Donahue's producer at MSNBC.) The other man I quote is a former Black Panther. For some reason, Mr. Gillis omits any mention of the very next passage in the book, which shows that a Ramparts article directly caused Dr. Martin Luther King to speak out against the Vietnam War for the first time. This material is in the middle of the book, but the final chapter is specifically devoted to the question of how Ramparts changed America. I won't rehearse the arguments here; the main point is that readers of this review won't know that these arguments exist. Throughout the book, but especially in the final chapter, there is ample testimony and evidence--from people like Jann Wenner, Adam Hochschild, Lowell Bergman, David Weir, Peniel Joseph, Tim Weiner, etc.--that Ramparts helped change American media, society, and governance. Now that I think about it, I'm amazed that Mr. Gillis could write that sentence about the two college students. Mr. Gillis concludes that my arguments for Ramparts' influence "might also explain the book's most glaring flaw: the author's overemphasis on Eldridge Cleaver and the Black Panther Party." Mr. Gillis immediately concedes that the connection between the magazine and the party was important and quotes Peniel Joseph to that effect. (I do, too.) The problem is that I devote too many pages to Cleaver and the Panthers. Again, I think the review ignores an important part of the book's coverage. Mr. Gillis doesn't mention Betty Van Patter, the Ramparts bookkeeper who many suspect was murdered by the Panthers. Her death was an important turning point for several major figures at Ramparts, including David Horowitz and Peter Collier. You can't understand the full Ramparts story and legacy if you ignore Betty Van Patter, and that means telling some parts of the Panthers story. You get the idea. I appreciate Mr. Gillis's compliments about the worthiness of the topic, the book's readability, and some of my major claims. And he's entitled to wish for a more academic version with different proportions. But most reviewers try harder to get their facts straight and to measure a book against its own aspirations. 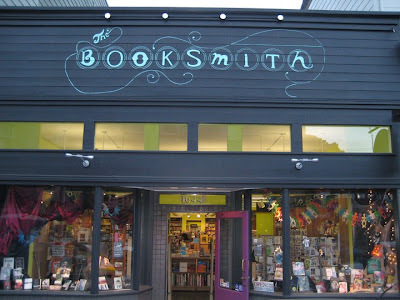 Rose Aguilar and I will appear at The Booksmith on Tuesday, Feb. 1, at 7:30 p.m. The topic is citizen journalism--or rather, lame journalism and what to do about it. There will probably be references to Ramparts along the way, but I mostly want to talk about what's ailing the media ecology today. Rose brings a lot of experience and expertise to this topic. She hosts "Your Call" on KALW, of course, and her media roundups on Friday keep her attuned to the overall performances of reporters, authors, analysts, pundits, etc. She's incredibly well informed, versatile, and indefatigable. I can't wait to hear her thoughts on this. This is a Melissa Mytinger production, so hats off to her. 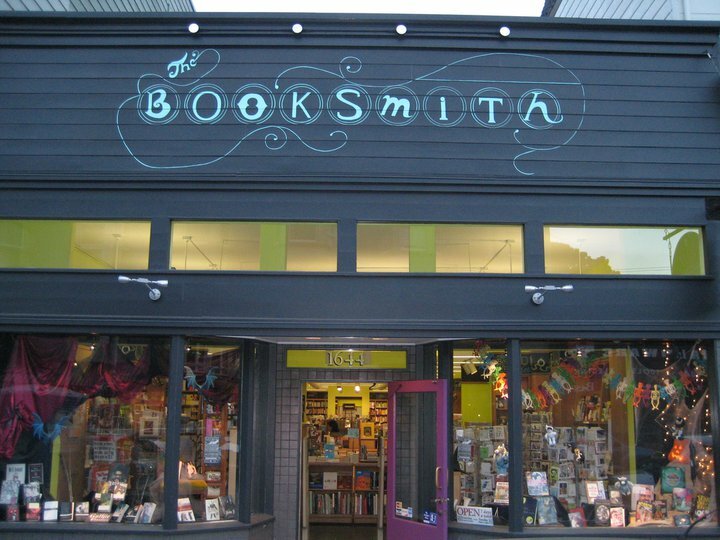 But I also want to give it up for The Booksmith more generally as one of my favorite bookstores. Lots of cool titles and superb events plus a piquant location.